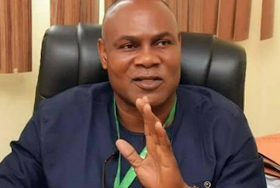 The Ekiti State was plunged into mourning yesterday after the assassination of a senior member of the All Progressive Congress (APC) in the state, Mr Bunmi Ojo, on Friday night. Ojo was shot at around 10 pm in an observation center in the Adeyinka Adebayo district of the capital, Ado Ekiti. It was said that he was with some of his political allies at the time of the attack. Until his death, Ojo was a member of the board of directors of the Federal Character Commission (FCC). Previously, he had been a personal assistant to a former governor of the state, Segun Oni. He was in his fifties.